At North Shore Solutions, we love assisting our clients to create online & offline solutions that help their brand shine. Let our passion go to work for you today. Thanks for visiting our website. We are so glad that you decided to stop by! 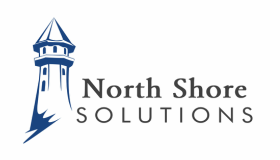 North Shore Solutions is a web design firm, located in the Thousand Islands Region of Upstate New York. We cater to clients in Jefferson County, along with clients all across New York State, and even across the world. We also offer other marketing services such as logo design, graphic design, consulting services, web hosting, and domain registration and management. North Shore Solutions was founded by Matthew Turcotte when he was 16 years old under the name of North Shore Web Development. Since its launch in 2007, the award winning company has grown to cater to clients all over the world. Based in Clayton, NY & Watertown, NY, we look forward to serving you. The services section of our site shows the variety of services that we provide to our clients. We offer website design & development, web hosting, graphic design services, domain management and more. Are you interested in hiring us to design and develop for your organization or small business? Request a quote today. We will respond to your email within 24 hours. "Things were done very quickly, communication was excellent, no problems with patience as I felt North Shore was very patient as editing was done by myself over and over. Things came along nicely in a positive way." "We are very pleased with our website. It is very easy to navigate and tells potential guests who we are and what we have to offer." [North Shore Solutions] timeliness, willingness to make requested changes, and very polite professionalism all the way!" "After years of trying to do a website on their own, North Shore had it done in just a few short months. [North Shore Solutions] were very patient and explained things well."